Demas Nwoko is a well respected Nigerian artist, architect and master-builder. 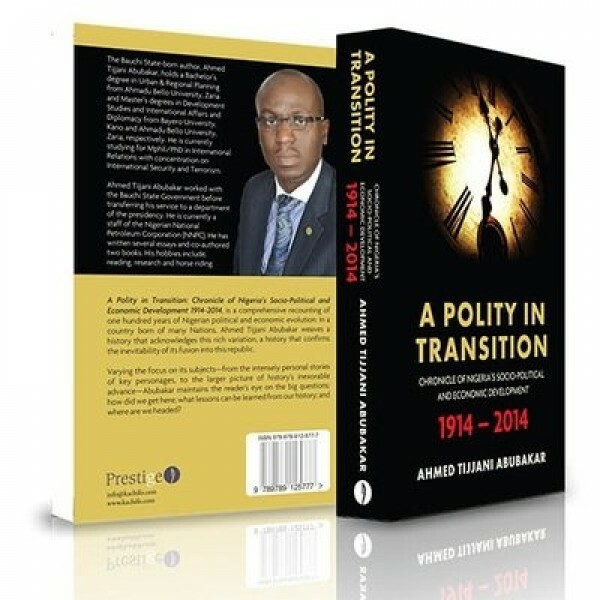 His work marries ..
A Polity in Transition: Chronicle of Nigeria’s Socio-Political and Economic Development 1914-2014, is a comprehensive recounting of one hundred years of Nigerian political and economic evolution. In a country born of many Nations, Ahmed Tijjani Abubakar weaves a history that acknowledges this rich variation, a history that confirms the inevitability of its fusion into this republic. Varying the focus on its subjects—from the intensely personal stories of key personages, to the larger picture of history’s inexorable advance—Abubakar maintains the reader’s eye on the big questions: how did we get here; what lessons can be learned from our history; and where are we headed?